These skulls have been professionally cleaned and prepared. They come with the teeth and lower jaw. They average around 5" (12.5 cm) long, 2.5 - 3" (6.5 - 7.5 cm) tall, and 3" (7.5 cm) wide. They weigh about 2 oz. (58 grams). 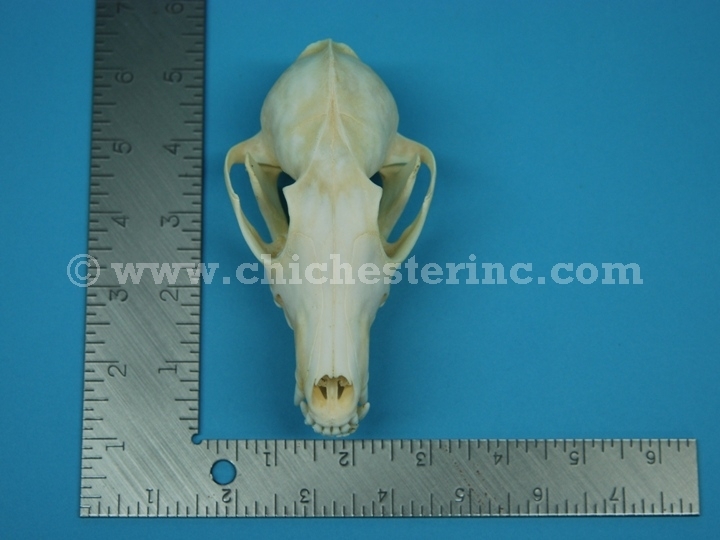 Gray Fox Genus and species: Urocyon cinereoargenteus. Wild. Red Fox Genus and species: Vulpes vulpes. Wild. 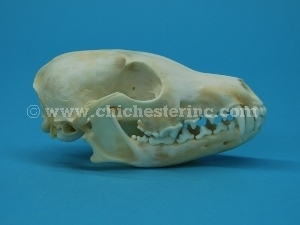 Arctic Fox Genus and species: Vulpes lagopus. Wild. See a front view with a ruler.